If you cannot afford an attorney, there is an alternative: Certified Legal Document Preparation. Our paralegals primarily specialize in Family, Juvenile, Probate, Estate Planning, Civil Name Change, Corporate and Real Estate. 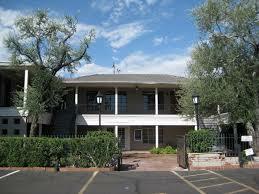 We have convenient locations in Mesa and Phoenix. 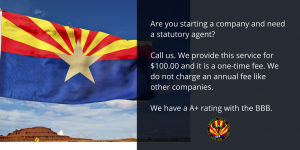 Arizona Legal Document Services has provided Paralegal Services to the valley for ten years while maintaining an A+ Rating with the BBB. Check out our reviews from across the internet. We are certified by the Arizona Supreme Court AZCLDP#81074. 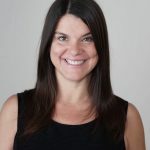 Kellie DiCarlo established Arizona Legal Document Services in 2008 after working with attorneys and law firms for fifteen years. She has twenty-five years legal experience. Kellie continues to work and network with attorneys. 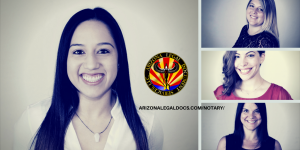 Arizona Legal Document Services is certified by the Arizona Supreme Court #81074 to provide legal document preparation for individuals not represented by counsel. 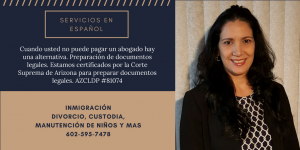 Although our paralegals cannot provide you legal advice, they can provide you legal factual information in accordance with the Arizona Code of Judicial Administration §7-208. 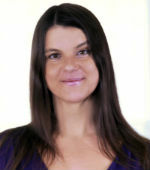 Our paralegals specialize in specific areas. This is important because we narrow our focus in these areas by concentrating a great deal of time and energy. We exclusively limit ourselves to areas of specialization through continuing legal education and daily experience. Our paralegals properly prepare legal documents to your specifications and in accordance with all applicable statutes and Arizona Court Rules. If you need legal advice, we refer to experienced attorneys that provide free consultations. A Paralegal may not work on their own as a legal document preparer unless he or she is certified by the Arizona Supreme Court. 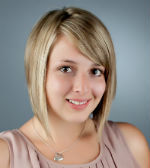 “Paralegal” is the most common term used for an Arizona Certified Legal Document Preparer. 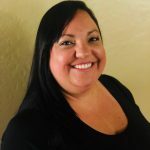 However, a “paralegal” is defined by the State Bar of Arizona as a person with legal knowledge, training and experience, who works “under” the supervision of an attorney. 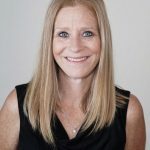 A Certified Legal Document Preparer is certified by the Arizona Supreme Court to provide services to the public “without” the supervision of an attorney. 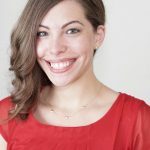 Without this certification, a paralegal preparing documents for an individual or a company, without the supervision of an attorney, is engaging in the unauthorized practice of law. The Arizona Supreme Court certifies and monitors the people and companies preparing legal documents for the sole purpose of protecting the public. We charge $10.00 per notary. We also have a notary available for documents in Spanish, by appointment only. We do not provide this service at our Phoenix location. 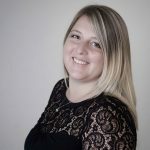 Alyssa and/or Kellie will assist you with assigning Arizona Legal Document Services, LLC as the statutory agent for your company or corporation. We provide this service for $100.00, which is a one-time fee. We do not charge an annual fee like other companies. Our Document Retrieval services include obtaining certified divorce decree, certified marriage certificate and other certified documents. We utilize bike couriers in downtown Phoenix to expedite these services. 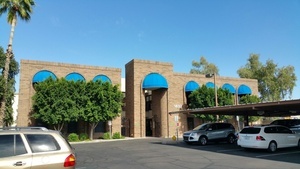 Our Phoenix office is only two miles from the downtown courts, records room and the Maricopa County Recorder’s Office. 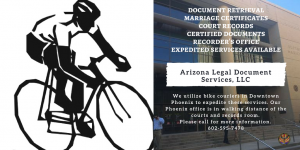 Our bike couriers are also able to quickly retrieve or deliver documents to the Arizona Corporation Commission and Arizona Secretary of State. 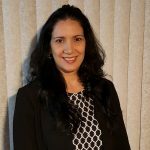 Our Certified Legal Document Preparers, have been trained as paralegals by attorneys and still work with and network with attorneys. 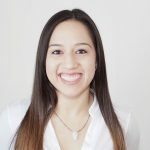 Paralegal Versus Certified Legal Document Preparer – What is the difference?